We chose Allegro for my parents. It has really nice grounds with benches, a paved pathway for people to walk on, and some little covered awnings for people to sit outside. The inside of the facility is beatiful and the dining room is really nice. The rooms were decidedly bigger than a couple of other facilities we saw. The first time I went there to observe and a couple of the residents told me how much they liked Allegro, and that stood out. They have daily activities like age-appropriate exercises, a chapel, and non-denominational service. They do services once a week. They have a craft room, a beauty salon in the building, an activities room, and a library. It really felt like apartments and didn't have the nursing home feel to it. My parents seem to be OK with the food. Every month they have a birthday celebration for the residents celebrating their birthday that month. They actually have the chef prepare this really incredible filet mignon and they have lobster on top of it. It was a really nice, expensive kind of lunch that they prepare for the residents with birthdays. It was definitely a step above other facilities. They have outings a couple of days a week. The best way to get to know a community is by scheduling a tour. 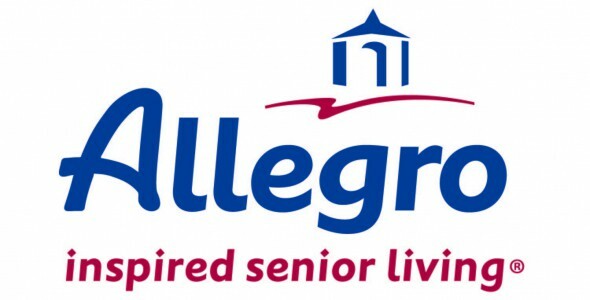 See the facilities, meet the staff and residents, and get a feel first hand what it's like to live at Allegro Assisted Living. Love The Life You Lead at Allegro…Discover a new definition of inspired living at Allegro’s exceptional senior living community in Tallahassee, Florida. This elegant community is surrounded by the beautiful oaks, pines and hanging moss that symbolize gracious southern style. Whether you choose to play golf, explore the Florida shores, or just putter with a favorite pastime, you will find the freedom to indulge every day. And with many years of experience, you’ll find our caring staff is dedicated to exceeding your expectations. Select the independent and assisted living community that is designed to inspire. Come home...to Allegro.